Are you considering starting a car dealership in Texas? With the upward trend in the US economy, and the steady demand for motor vehicles in the state, the time is right for launching a new Texas auto business. In fact, Texas has been consintently ranking as one of the best states to open a car dealership. Before you set off on your entrepreneurial journey, you’ll want to be prepared, by learning the nitty-gritty details on getting a dealers license in Texas. As in most states, you’ll need to comply with the state regulations that govern the business, by getting a Texas auto dealer license and a special kind of surety bond, in the case of dealers called an auto dealer bond. While the process can be complicated, you can make it easier by getting all the information and knowing the best tips for a smooth start. We’ve structured this guide in 5 easy steps so as to give you a jump-start in the very beginning of your dealership career. **NEW**: For an even more detailed explanation, check out our FREE ebook guide! How can you become a car dealer in Texas? If you’d like to buy, sell or exchange used motor vehicles in the state, you must obtain a general distinguishing number (GDN) from the Motor Vehicle Division of the Texas Department of Motor Vehicles (TxDMV). This is, in essence, your Texas used car dealer license. If you also want to sell new cars, you have to get a franchised dealer license along with the GDN. In both cases, you should start by obtaining all the necessary documents needed for the license application. You can find full information on all types of licenses in the Licensing section of the TxDMV Dealer Manual. Please note: You can have more than one GDN license. However, for each one, you must submit a separate application. One GDN can be used for multiple dealerships of the same kind in the same city. 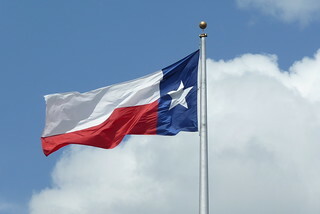 Licensing of Texas dealers is handled through the DMV’s eLicensing platform. To make sure that your application will be accepted the first time you submit it, be extra careful when filling in the form itself, and when preparing the documents that accompany it. Verify that you are giving your correct phone number and address so that TxDMV can contact you successfully if needed. Proof of an established and permanent business location (proof of lease or ownership), that is compliant with local zoning and equipped with a permanent business sign. It should have space for at least five vehicles of the type that you want to deal with. 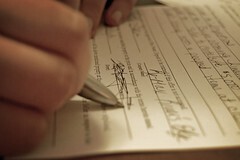 Certificate of Incorporation, Organization or Partnerships to prove the legality of the entity applying for a license. If your company is a partnership, corporation, limited liability company or limited partnership, you have to provide your Employer Identification Number (EIN), obtained from the Internal Revenue Service, on your application form. For most types of licenses, you need to submit a surety bond in the amount of $25,000. The bond should cover a period of two years that matches the dates of the license duration. For a detailed description of each requirement, please refer to the Dealer Manual mentioned in the previous section. All application and document forms are available on the Dealer Forms page. Please note: You can still start your application even if one or more of the required items is missing and then return to submit it later on. Don’t forget to also include information on any other GDN licenses that you have. The cost of applying for a GDN license is $700 plus an additional $90 for each dealer license plate. Sometimes there might be additional processing fees, depending on the type of license you’re applying for. An indispensable requirement for obtaining most types of Texas dealer licenses is to get a $25,000 Texas auto dealer bond. Only franchised dealers, travel trailer dealers and trailer/semitrailer dealers are exempted from this requirement. An auto dealer bond is a three-party contract between your business as the principal, the Texas DMV as the obligee, and the surety that provides the bond. The goal of the Texas dealer bond is to guarantee that your dealership will follow all its contractual obligations. Thus, it is a safety net for the general public, guaranteeing that your business will act in accordance with the law. In this sense, it’s very important to choose your surety bond agency carefully. Look for a trustworthy agency with a solid reputation, so you know that your dealership will get the backing you need. The best approach is to use the services of agencies that work only with A-rated, T-listed surety companies. This gives you the security that your bond is fully guaranteed, and your customers are completely protected. Besides wondering how to get a surety bond in Texas, the second concern of dealers is how to reduce their surety bond cost. When you get bonded, you need to pay only a percentage of the bond amount, which in this case is usually $25,000. This percentage is called the bond premium. To determine this premium, the surety will take a good look at your personal and business financials and credit score, as well as the management and overall prospects of your business. The better these stats are, the better the chances that your dealership will be seen as a low-risk applicant. If you qualify for the standard bonding market, you’re likely to pay between 1%-3% of the bonding amount, or between $250 and $750 for a Texas dealer bond. Use our surety bond cost calculator to get an instant rough estimate on your dealer bond. To reduce your bond costs, make sure to take care of any old liens or judgments and take steps to improve your credit score before applying. It’s also important to properly illustrate the strength of your business by showcasing your overall finances and good business practices. Want to get an exact premium? Get a FREE quote on your dealer bond! Once you’ve prepared all required documents, researched and chosen a solid surety agency, and obtained your bond, it’s time to submit your completed application. Make sure you keep copies of your documents for future reference. The licenses are issued for two years, and you need to pay the relevant application fees along with your application. The payment gets processed first. Then your application will be scanned and given a Work Item Number in order to get reviewed, and you’ll get an email notification at this stage. If the TxDMV needs more documents to assess your application, you’ll be contacted in due time. When you get approval, you will get a printed version of your license by mail, so make sure you’ve provided a correct mailing address. With your dealer license issued, you’re ready to start your auto dealer business. While getting your Texas auto dealer license is rarely easy, following these five tips is bound to make your licensing process smoother. If you have any questions about the bonding process, give us a call at 866.450.3412 or contact us online. Our auto dealer bond experts are here to help. Once issues, your dealer license is valid for 2 years. The Texas DMV will send you a renewal reminder 75-90 days prior to your license’s expiration. You’re required to submit your renewal application along with all required documentation no later than 45 days prior to your license’s expiration date. Failing to renew your license on time will lead to late renewal fees of “50 percent of the application fee amount for each 30-day period the license is expired.” If you don’t submit your application within 90 days of its expiration, then your license is revoked and you have to start the whole application as if you are a newly started car dealer. Please note: In ordered to not be rejected, your dealer license renewal application must include proof that you have also renew your Texas auto dealer bond. Great information shared thanks for it US Dealer Licensing from the same field who helps in your dealer licensing service.